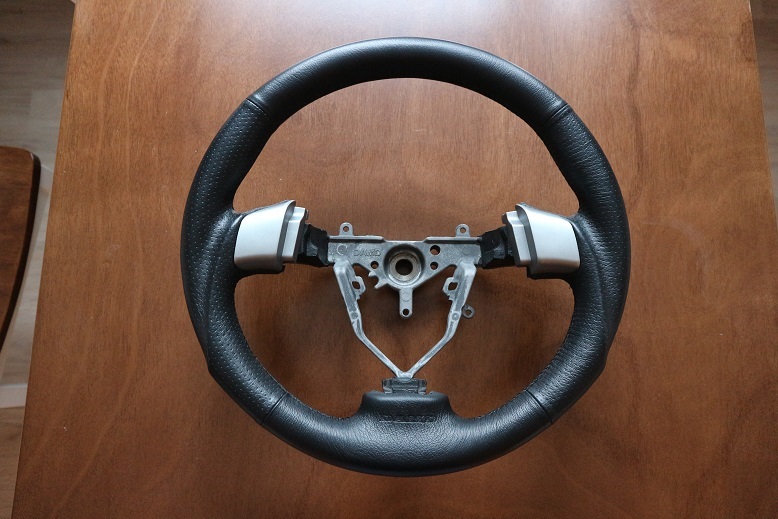 Selling round-shaped DAMD SS358-S steering wheel. Gun-grip, black stitching, compatible with radio buttons. Used, but in really good condition. Diameter 358mm, so smaller and thicker than your stock steering wheel. "The DAMD SS358-S(F) was the first wheel in the Sports Series line-up. Designed with feedback from real racing drivers in each field. It was determined that a 358mm diameter was best to realize quick handling. The thick Gun Grip makes it very comfortable to handle and you are able to grip the more firmly." Located in Finland, but could be shipped around EU.